What is acid rain doing to your home town? The effects of acid rain have emerged as a devastating result of air pollution. So how severe is the problem in your area? 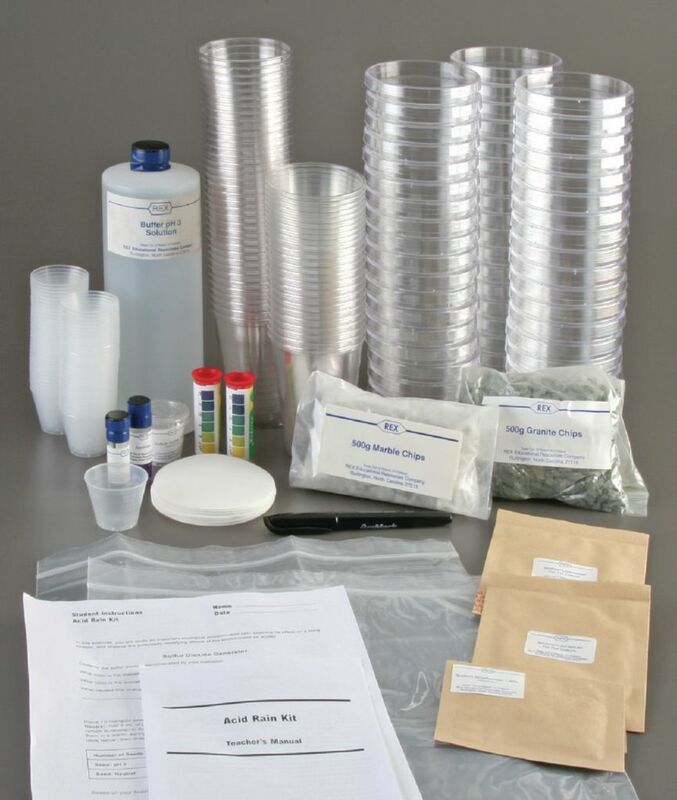 This kit allows students to test the pH of rain, discover the effects of pH on plants and observe the effect of substrate on pH. Includes: marigold seed, marble chips, granite chips, buffers pH3, test cups, hydrochloric acid (1N), sodium sulfite, petri dishes, germination blotters, 10oz plastic cups, pH test paper, azolitmin solution, sodium bicarbonate, self-sealing bags, student instructions and a teacher's manual.